In 1952, it was discerned that Knoxville needed a third parish to enable the works of an expanding Catholic population. The visionaries who brought Sacred Heart Parish to Bearden were The Most Reverend William L. Adrian, D.D., Bishop of Nashville; The Very Reverend Joseph P. Follman, V.F., Dean of East Tennessee; and The Reverend Christopher P. Murray, Pastor of the Church of the Immaculate Conception, Knoxville. The general area of Northshore Drive was selected because it had access to public utilities. Approximately six acres of the William Towle farm were purchased in 1953 for $25,000. The late Monsignor Edward Dolan, P.A., succeeded Father Murray and began negotiations with architects to complete the entire plant, including church, school, rectory, and convent for $1 million. The parish became an independent church entity on January 1, 1956, numbering 199 families. The official title given to it was The Church of the Sacred Heart of Jesus. Father Dolan was appointed its first pastor and took up residence in one finished room of the school on July 18, 1956. He moved into the completed rectory in November 1956 and celebrated the first Mass in the new church at midnight, Christmas, 1956. Sacred Heart School opened on September 4, 1956 with 132 students and 5 faculty. Father Joseph Julius was pastor from 1972 to 1981, during his tenure, additions were made to the physical plant, which included the gymnasium, new school classrooms, and a school library. By this time the parish had grown to over 1,000 families. Father Robert Hofstetter served as pastor from 1981 until 1987. He oversaw the expansion of the physical plant to include kindergartens, science labs, computer labs, an art department, and other modifications. Father Xavier Mankel was named pastor in July 1987. In 1988 the church was named the Cathedral of the newly created Diocese of Knoxville under Bishop Anthony J. O’Connell. Father Al Humbrecht was named pastor in August 1997. Fr. Al served as Diocesan Administrator until Bishop Joseph Kurtz was appointed Bishop of Knoxville on December 8, 1999. Kurtz was succeeded on March 19, 2009 by Bishop Richard Stika. In February of 2010, the Very Rev. David Boettner was named Pastor/Rector of Sacred Heart Cathedral. Under Father Boettner, the parish has grown to 1,500 families and over 5,000 members. A strategic plan is in place to address the future growth needs of the parish facilities and campus. As the parish begins to implement this plan, it will focus on five areas based upon the expressed needs of the parish: Facilities, Faith Formation, Communication, School, and Unity in Diversity. In 2015, the Diocese of Knoxville proudly broke ground on its most ambitious project ever: the construction of a new 1200-seat worship space on the Sacred Heart campus. Three years later on March 3, 2018,the Cathedral of the Most Sacred Heart of Jesus was dedicated. Today, current school enrollment is 627 students and 85 faculty/staff members. 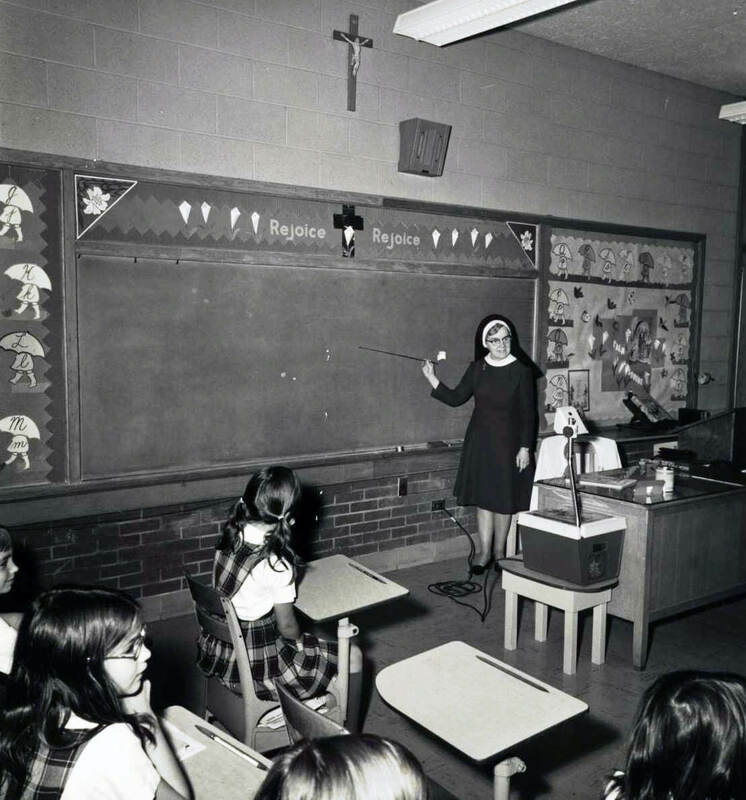 1956 – Sacred Heart School opens with 132 students with 2 Sisters of Mercy and 3 lay teachers in nine classrooms. 1988 – Diocese of Knoxville was formed September 8, 1988 and Sacred Heart School became Sacred Heart Cathedral School, the Cathedral school for the Diocese. 2015 – In the summer of 2015, Sacred Heart Cathedral School underwent a major renovation to the original 100-Wing built in 1955-56. Additionally, to accommodate the site work necessary for the construction of the new Cathedral, the front entrance and administration was moved to the North side of the building. View videos, renderings and images. 2016 – SHCS became an official Google Apps for Education school and adopted 1:1 technology in middle school, equipping all students in Grades 6-8 with their own Google Chromebooks. A new 200-wing roof was installed and the new school front entrance was improved with the relocation of the Jesus with Children statue and Eagle Walk bricks. 2018 – The Cathedral of the Most Sacred Heart of Jesus, a 1200 seat worship space, opens on the same campus as Sacred Heart Cathedral School, making the school the only school in the country connected to a brand new Cathedral.